Now available in paperback, Flip the Flaps is a fun way for young children to discover the answers to questions about their favorite subjects, while also flipping the flaps and spotting the scence changes. 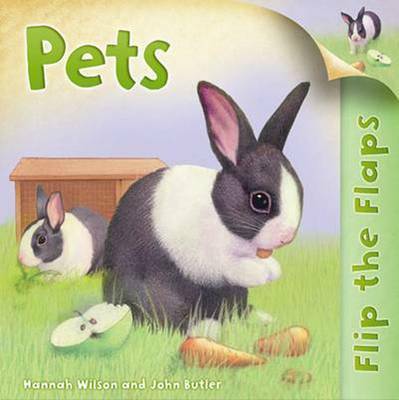 Flip The Flaps: Pets by Hannah Wilson, illustrated by John ButlerPreschoolers will uncover useful and fascinating facts about beloved pets in this addition to the Flip the Flaps series, which takes an interactive spin on the ever-popular I Wonder Why books. Every spread features a flap that asks the kind of questions children ask about a different (and adorable) domesticated animal. When the flap is flipped to reveal the answers, the artwork magically changes.